It has been suggested that the number of 50 passengers, referred to in the article, could be the number of passengers that were off-loaded due to one door being declared non-operational, which was required the lack of one cabin crew member. On Air India’s 787 with eight doors, a complement of nine cabin crew is needed. One head and eight members, one for each door. Part of an aircraft’s certification is the timely evacuation of all passengers through available exits. A non-operational door would necessitate a reduction in the number of passengers carried if the flight was full. Prior to publishing this story, we attempted to contact Air India’s spokesperson both by phone and by e-mail, to clarify the situation. No response has been received till today (Jan 13, 2014). If the flight was full and the passengers were reduced by 50, our deepest apologies to the airline for our misunderstanding. While the establishment in both the civil aviation ministry and national carrier Air India continue to blow sunshine in our faces, and was eloquent about the “great recovery” by the airline, a story in The Hindustan Times newspaper shows how abysmal is the airline’s actual performance. 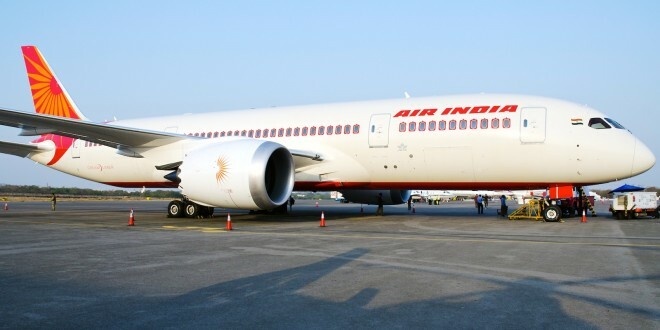 The Air India Boeing 787-8 Dreamliner which operates on this route seats 256 passengers, 18 in business class and 236 in economy class. With only 50 passengers, the load factor works out to less than 20 per cent. By any measure, this is an abysmally low number. Even with a more fuel efficient Dreamliner, an airline spends as much as 40 per cent of its operating costs as fuel. With margins in the two and three per cent range, there is no way this flight even recovered its fuel costs. The airline’s spokesperson did not respond to my repeated attempts to clarify the situation. This pathetic performance is further magnified when you consider that the first week of January is about the highest peak in demand for the year, when most overseas Indians return back and Indian business travellers commence their overseas trips when their business partners return after the Christmas-New Year break. The report goes on to state that the commander of the flight was benched for flying with one short crew member. In my humble opinion, it is the line management of the airline that should be benched for allowing a flight to operate with such poor passenger load factors. With such pathetic numbers, Air India should consider code-sharing with Lufthansa, and utilising their Dreamliner on a more profitable route, assuming there are any. Read the original Hindustan Times story here.